A 22-year-old woman described how she hid among strangers' bodies inside Paris' Bataclan Theatre to survive the attack. LOS ANGELES (KABC) -- A 22-year-old woman described how she hid among bodies of strangers inside the Bataclan Theatre in Paris to survive the terrorist attack. Isobel Bowdery from South Africa was inside the music venue when the shots rang out on Friday. She described her horrific experience on a Facebook post, which has been shared nearly a million times and liked by more than 2.6 million people since she posted her story this weekend. In her post, she shared her terrifying account, along with a photo of her blood-stained shirt. Bowdery said in the midst of all the chaos and gunfire, she was forced to hide among the bodies of strangers and play dead for nearly an hour, all while holding her breath and trying not to cry. "When the men came through the front entrance and began the shooting, we naively believed it was all part of the show. 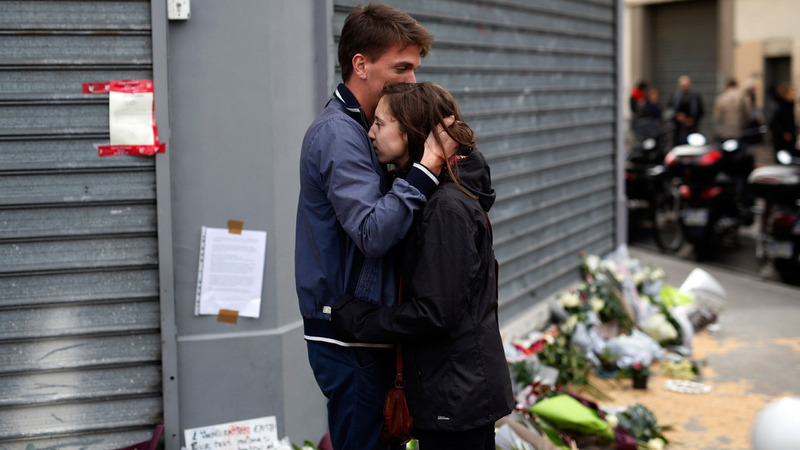 It wasn't just a terrorist attack, it was a massacre," she wrote. She went on to describe feeling so close to death. "I envisioned every face that I have ever loved and whispered I love you. Over and over again. Reflecting on the highlights of my life...wishing that those I love knew just how much, wishing that they knew that no matter what happened to me, to keep believing in the good in people." Much of her post also talked about the heroes of the night, including a friend who offered her shelter and clothing, strangers who picked her up in the street, and others. What's really standing out to so many who read Bowdery's powerful post is how she began her story with, "You never think it could happen to you," just going to show how precious life is and how things can literally change in second.